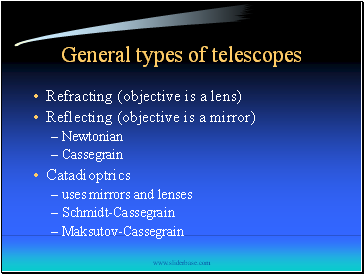 To know the general types of telescopes and the advantages and disadvantages of each one. 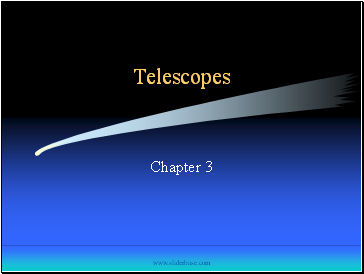 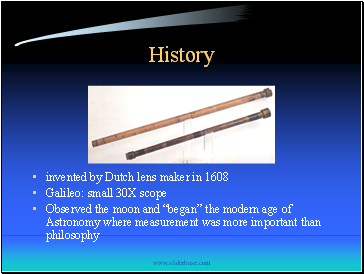 To know the primary parts and functions of each part of a telescope. 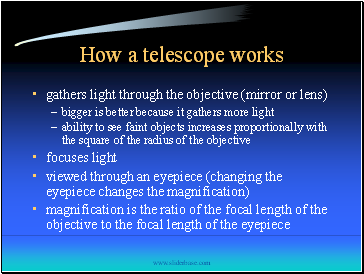 To know the importance of the diameter of the objective and to know how the magnification of a telescope is related to the focal lengths of the objective and eyepiece. 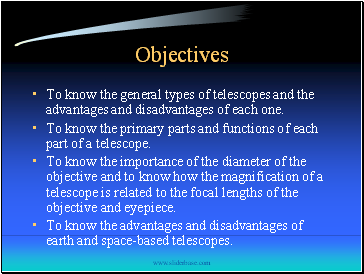 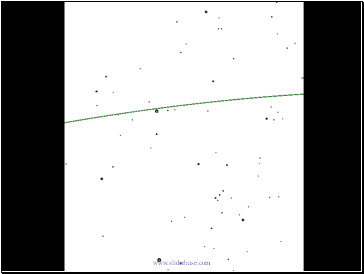 To know the advantages and disadvantages of earth and space-based telescopes. 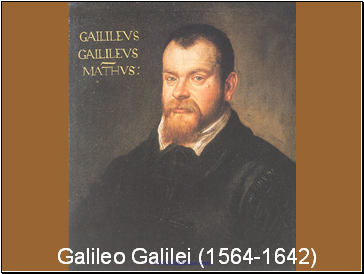 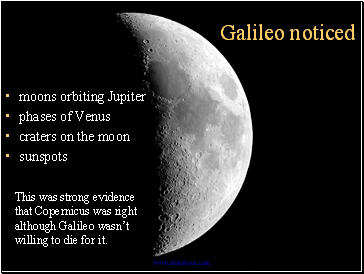 This was strong evidence that Copernicus was right although Galileo wasn’t willing to die for it. 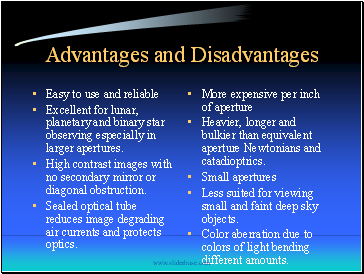 Excellent for lunar, planetary and binary star observing especially in larger apertures. 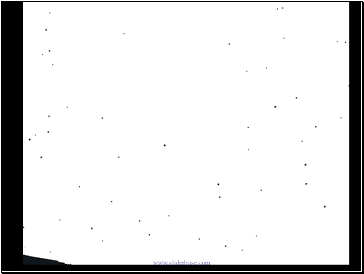 High contrast images with no secondary mirror or diagonal obstruction. 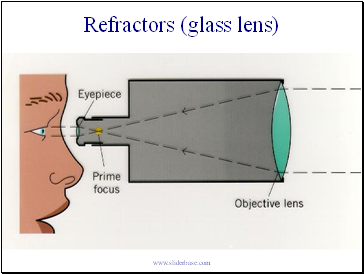 Sealed optical tube reduces image degrading air currents and protects optics.